You may have already branded yourself with this in mind, but perhaps you're not getting the desired results. So what does work? 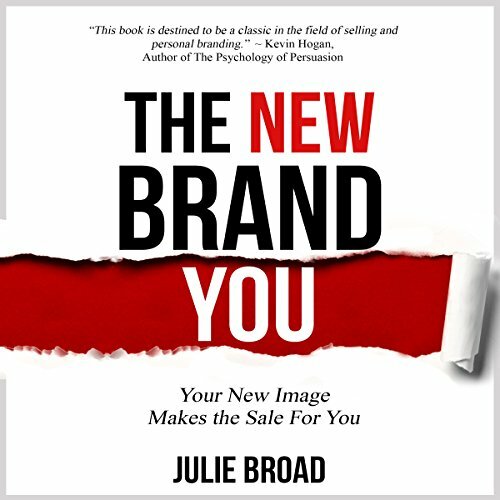 In The New Brand You, Julie Broad, MBA, best-selling author, popular speaker, and award-winning entrepreneur, shares the secrets of creating a trusted brand. You'll learn what is critical in reinventing your personal brand, and why you may never have to tweet, pin, or post to do it. Caution: Great action steps and inspiration within. Julie, hearing your voice as though you're talking to me right in the same room is awesome! I am an audio learner, so although I have a copy of your book that I've read, I picked up so much more by hearing you talk me through it. Thanks for all your hard work in putting this out there, it's SOOO much better than a hired voice actor. Thank you! Anyway, I'll be re-listening to this book until I do EVERY action item. Feel empowered to build your personal brand! What made the experience of listening to The New Brand You the most enjoyable? Julie really delivers! I highly recommend the book, “The New Brand You”. The book offers a refreshing perspective on branding and marketing. I consider Julie to be a thought leader in this space and I like that she speaks from experience and provides lots of examples in her book. It makes the topics easy to understand and with the tips and practical advice she gives in her book, I now feel empowered and inspired to transform my personal brand and business. A great resource book for your library that you will want to listen to again and again. I found it interesting and engaging while I learned valuable tips and strategies for a strong personal brand. She is a fantastic story teller and I appreciate her humor and simple teaching style. I have listened to this 3 times already. Packed with value. Must read if you are building a business of any kind. I really enjoyed Julie Broad's willingness to put her whole self out there. Not only is this a well-researched book, but the author has done a brilliant job of making the material interesting. Lots of to-do lists, encouragement and funny stories inside ... as well as timely brand-building content. a strong addition to the personal branding space with great personal anecdotes. Rare insights are shared that even a veteran can learn from. Julie did it again! She delivered another intelligent, entertaining, practical and inspiring book! This book will help anyone in business and life. Love all the stories, examples and homework at the end of each chapter. Great to listen to her narrating it, she put life to the book! Would you consider the audio edition of The New Brand You to be better than the print version? I prefer audio books these days because I can listen to them "on the go." I would recommend going to the web site before you start reading though and ask for the free downloadable workbook & content calendar as it is useful to have a format and a place to jot ideas/key points down as they come to you. What does Julie Broad bring to the story that you wouldn’t experience if you just read the book? The narration is engaging and compelling and is able to communicate some key points around verbal communication that would have been harder in print. I loved this book. It paid for itself several times over before I even got to the end of it. Before you spend any more time & money on branding, advertising, marketing, etc.... this book can help you get really clear on your "why" and the way you want to communicate with your customers. Without this as a solid foundation, you will never be as effective as you could be. The book was a good length, narration was enjoyable, pace was good and I found it really thought provoking. Came away with clear goals & the beginning of a great branding strategy.